My usual Wednesday walk with friends started at the local garden centre, where they have recently installed a wildlife garden which is due to have an official opening and various wildlife events at the end of October. Malcolm had agreed to help out so felt we should go and check out the site and plan our strategy. 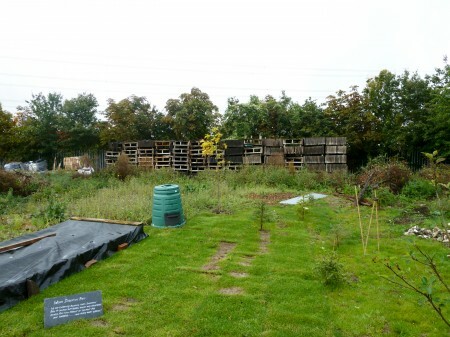 They have done a great job – mainly down to Graham who has developed the site from a rough patch of ground into an excellent example of wildlife habitat. The approach to the wildlife area is via a path leading to an insect hotel – this is to be developed with local children over the next six months. 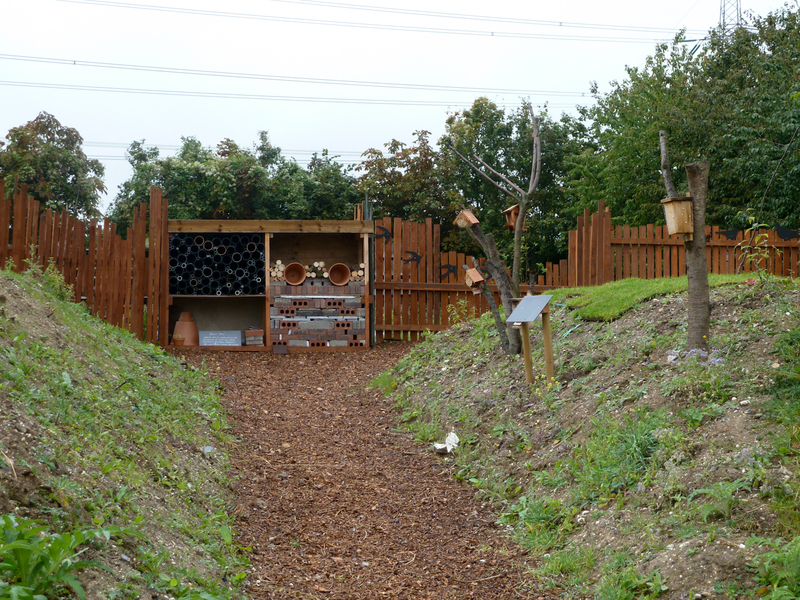 Along the path there are various examples of insect homes, butterfly shelters and a beehive. 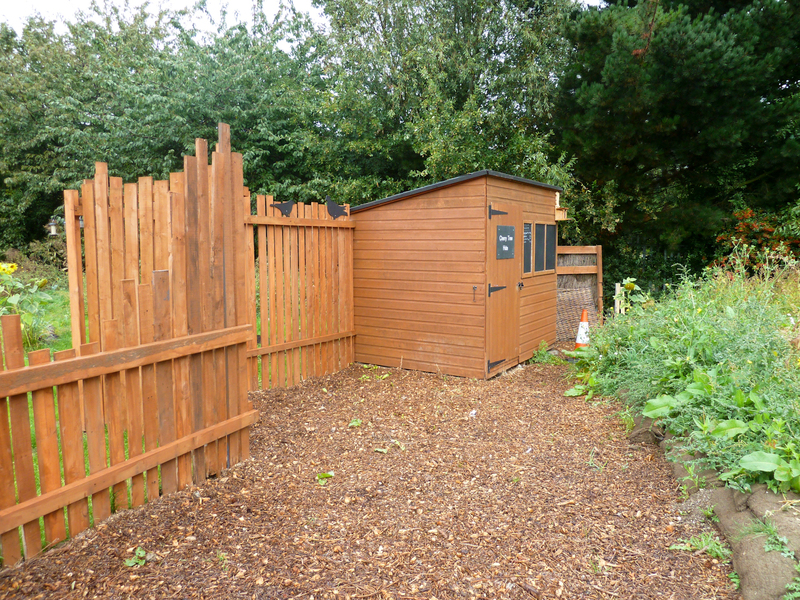 The materials used to create the area is mainly recycled with old pallet wood and previously used fence posts being pressed into use. Bird outlines are used to decorate the screens, and there are small information slates explaining what is in place and what is planned for the future. There is a hide with binoculars available for use. Again all the materials used to create the hide are recycled or natural even down to coat hooks which have been made from prunings off trees. 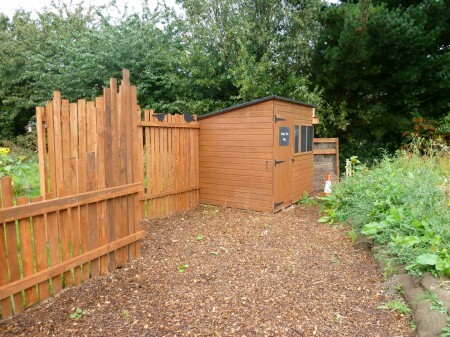 Beyond the hide and behind the screening is the main part of the wildlife garden with two feeding stations, a pool area, planting of native shrubs, especially those providing food for birds. Under a tarpaulin is a Worm Digestion Bed where they are using the natural habits of worms to provide compost for use around the garden. Although the area has only been developed this year, the omens are good, in the few minutes we were in the hide we saw wood pigeon, greenfinch and goldfinch and the list of birds seen in the area is impressive, so roll on October.